Whether you love Valentine’s or hate it this Cupid Poop has to put a smile on your face! What other color would come from cupid than red? When you get past the “Eww” factor these treats are not only funny but tasty too. 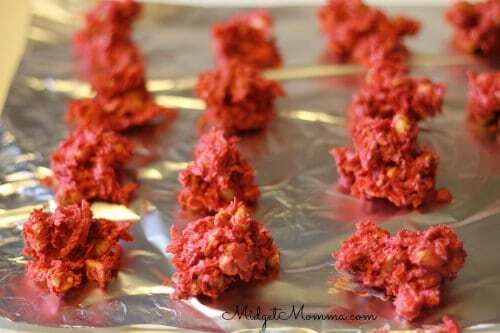 Red candy wafers (at Walmart) make it a super simple recipe with just three other ingredients. Mix up a batch for the kids, teachers, or your significant other for when he is on your “list”­ good or bad. Leave these little surprises in baggies on coworkers desks with a little note to lighten up the mood. 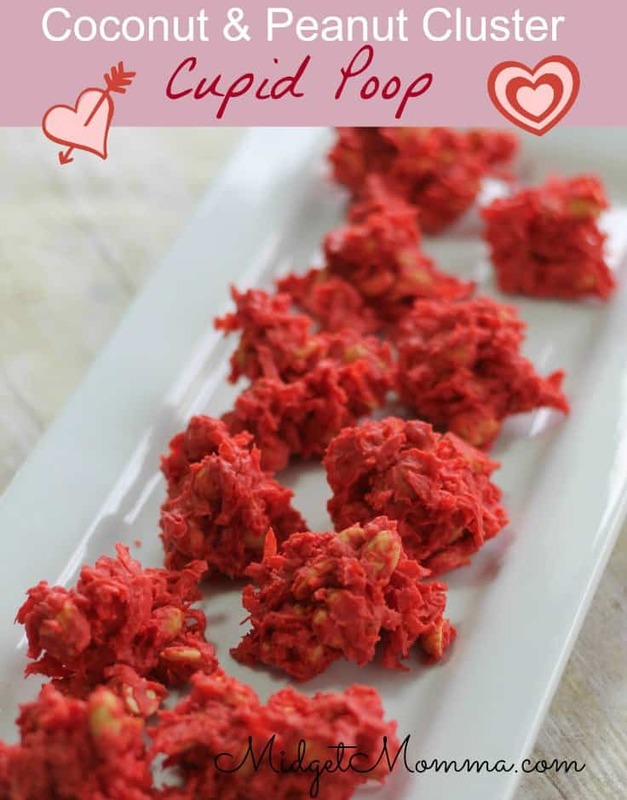 And since our reindeer poop was such a big hit during the holiday season we figured we would bring you some cupid poop! Melt wafers in a microwave safe dish 30 seconds at a time, stirring between each round until they are completely melted and smooth. 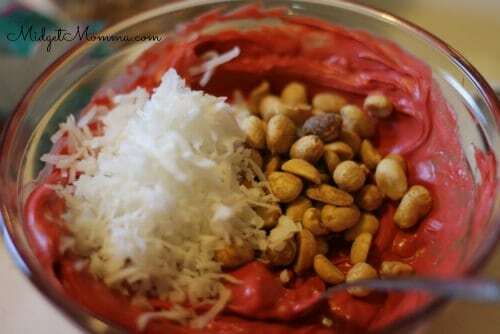 Stir peanuts and coconut into melted chocolate to combine well. Drop by heaping spoonfuls onto waxed paper and allow chocolate to set. Place in the refrigerator for a faster setting time.